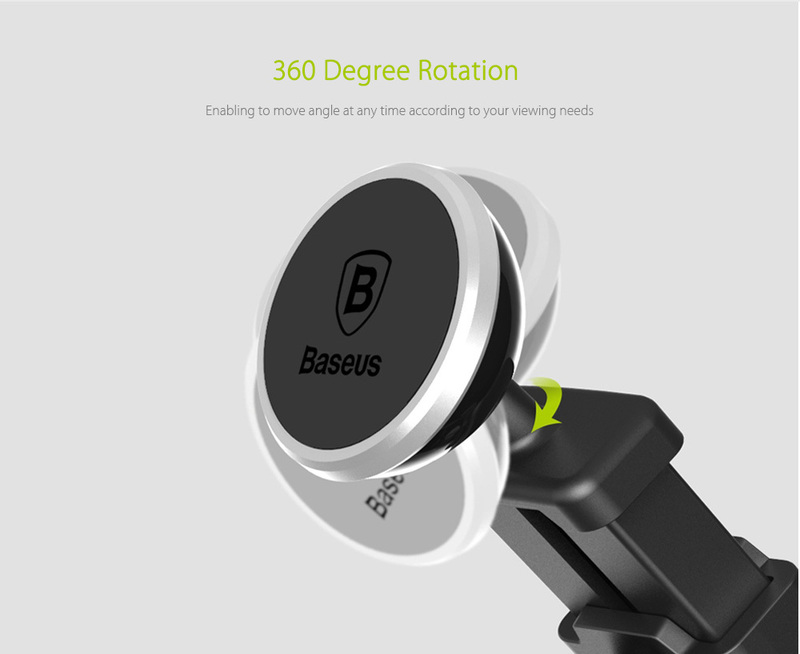 The BASEUS™ Heavy-duty Telescopic car phone mount is the most advanced magnetic & telescopic mount available on the market today! Designed to last a lifetime! 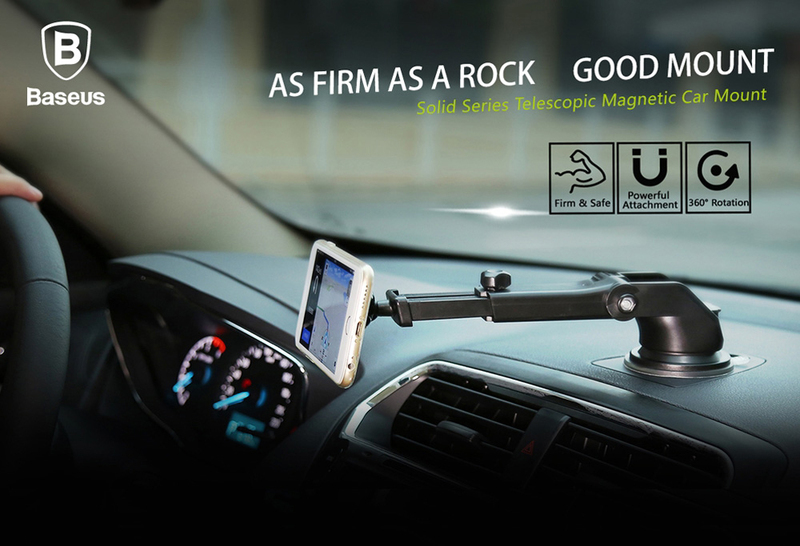 with a firm and powerful magnetic phone bracket & ultra-Strong base suction cup that will hold your device steady so you can keep your focus on the road and your hands on the steering wheel! 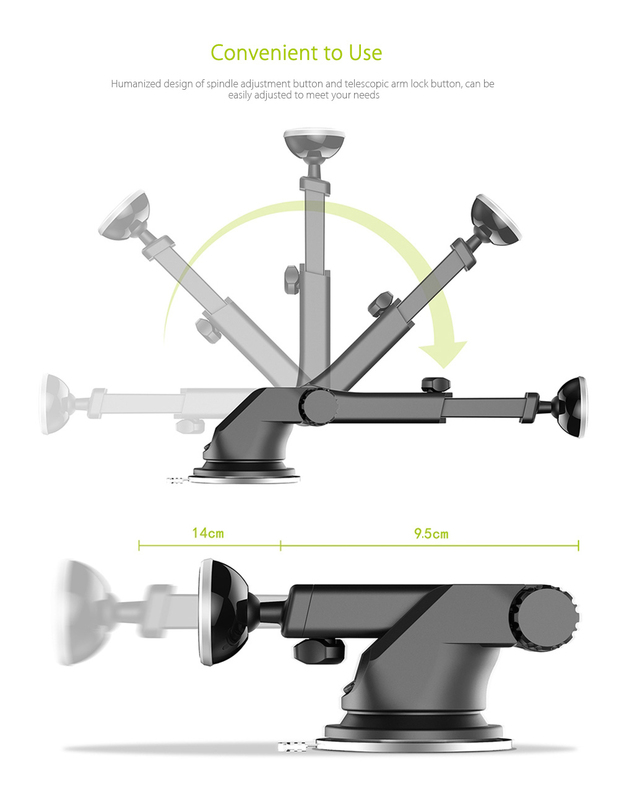 Featuring an extendable telescopic arm, 360-degree device rotation capabilities, powerful 2-stage suction base & ultra-durable construction quality! 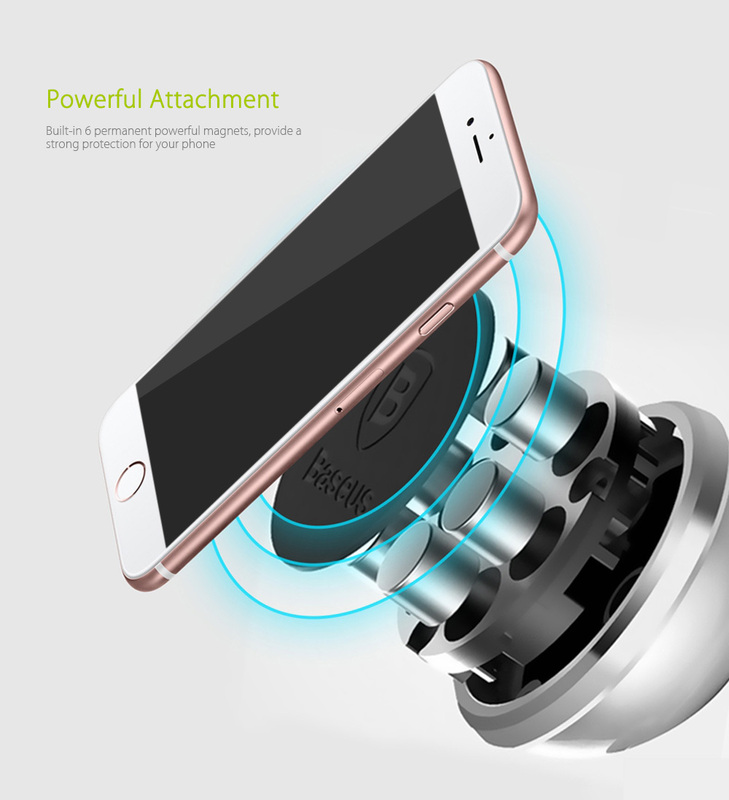 ✓ As firm as a rock, 6 permanent magnets ensure a powerful attachment. ✓ Humanized design - can be easily adjusted to meet your every need. 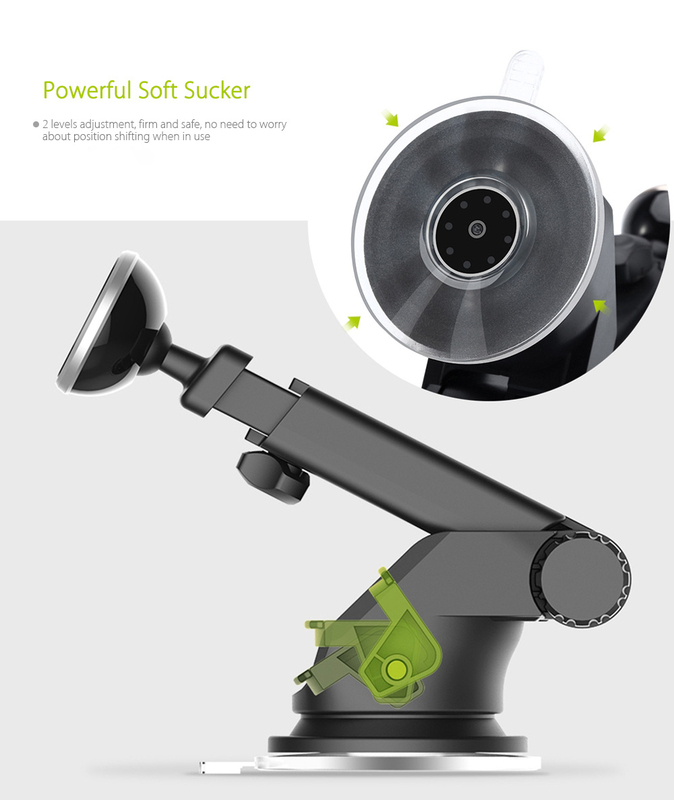 ✓ 2-Stage powerful soft sucker, Will Work on any smooth surface. ✓ Requires no screws, no adhesives or glue, installs in 10 seconds!